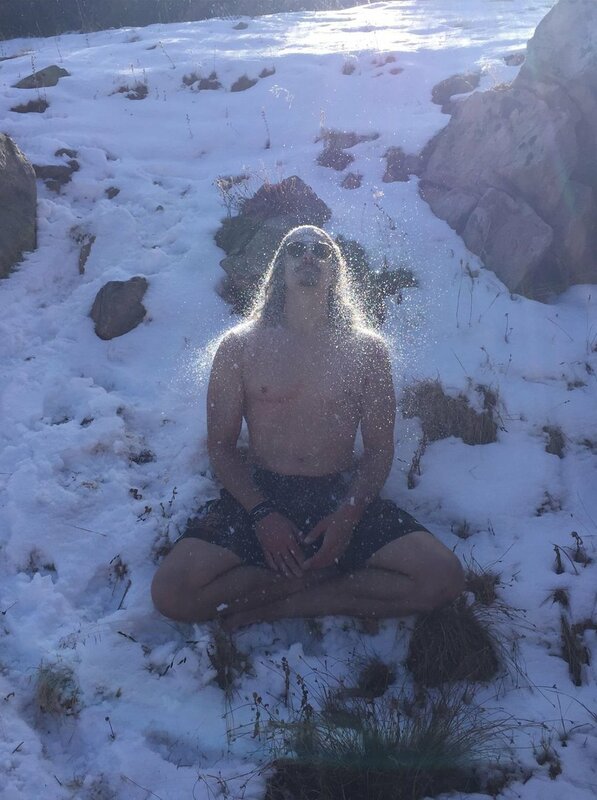 Hey everyone, my name is Benjamin Pelton and I am teaming up with fellow Wim Hof Instructor Ricardo Broberg to deliver everyone a life changing experience through the Wim Hof Method at the first annual Flow State Summit. Click here to grab your prep course for 50% off. I am a part of the founding alpha class of Wim Hof Instructors to graduate from the US Academy in 2016. That is where I met Ricardo Broberg, a lifetime athlete, gypsy, seeker of health & human optimization located out of Bellingham, Washington. When I am not being a full-time Wim Hof Instructor teaching the healing and performance benefits from breath work, I work as a Human Performance specialist with my company Be Perfect LLC. I use a variety of movement modalities to provide the quickest and safest approach to bringing clients to the highest standard of performance. Ricardo has a similar story, when he isn't working full-time Wim Hof’ing, Ricardo is up in the mountains biking or giving back to the community by building and maintaining the beautiful mountain bike trails. We are both very excited to share the Wim Hof Method and the science behind why it all works. We will start the morning with a gentle introduction into the breathing protocol and once everyone has a feeling for the breath work we will begin to dive head first into the science. In the beginning, Wim Hof was met with skepticism and considered a "crazy man" for his World-Record Challenges and his ability to withstand the cold for extended periods of time. Wim’s abilities began to baffle scientists, which then became curious how another human could accomplish such feats. The scientists began to research how this was possible and prove that what Wim was doing was impossible. However, after years of research, being heavily scrutinized and rigorously tested, in 2014 Wim and his Method became fully backed with scientific proof by the Radbound University. After Wim received scientific backing he was no longer considered “crazy,” and is now forever changing the future of the health care system. Ricardo and I will share the science behind the Method and then put it all together to teach how each person has the innate ability to control their nervous system and withstand extreme cold. If having the ability to augment the immune response to swiftly deal with pathogens and withstand the extreme cold is where the health and human optimization industry is today, then the future of human optimization is going to be quite unbelievable. Wim Hof is breaking international headlines, by receiving attention from popular culture magazine Rolling Stones and even other high-profile influencers such as the movie star Jim Carrey. Taking a human and making them more optimal is such an empowering experience that everyone everyone should want to experience. More health, more strength and even more happiness, everyone should have that in their life! I am super stoked to be involved in the first Flow State Summit because that is what the world needs, an environment where like-minded individuals can come together, flow and brain meld. Flow State is such a powerful state to be in and if we could create a community to help Flow flourish and provide that ability for others to join, then WOW, how amazing! TThere is a long list of artists, movers, and other amazing practitioners that I am excited to learn from at the upcoming Flow State Summit. I hope that you will join in on the excitement and become a part of the Flow Tribe. While it may seem far away, July will be here in just a few short months and I can't wait! Ready to join us? Click here for to grab your admission for 50% off . Let's Flow together. Hope to see you there.